The first hard-boiled detective, Race Williams, runs up against the Klan in his premiere adventure, which leads him to fast and tragic action. Plus two other early Daly hard-boiled classics: The False Burton Combs and Dolly. Story number one in the Race Williams series. Carroll John Daly (1889-1958) was the creator of the first hard-boiled private eye story, predating Dashiell Hammett's first Continental Op story by several months. Daly's classic character, Race Williams, was one of the most popular fiction characters of the pulps and the direct inspiration for Mickey Spillane's Mike Hammer. 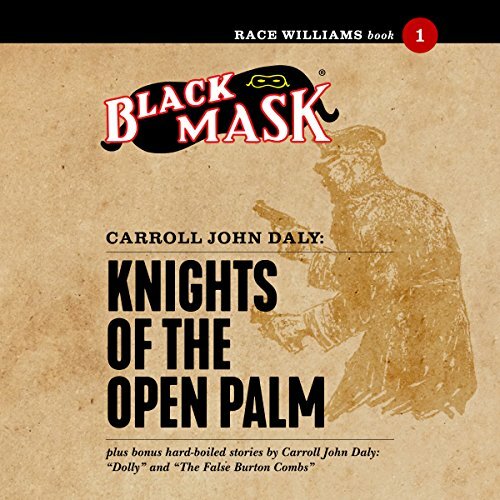 This Black Mask Classic Edition was produced by Pulp-Lit Productions Studios for Steeger Properties LLC, agent for the estate of Carroll John Daly.